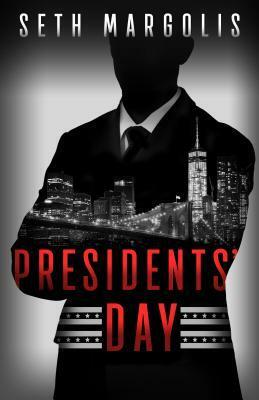 President's Day is a new twist on the belief that every US Presidential election is fixed. in this case, it's not by another party or country but by someone who wants revenge on the people responsible for the death of his son. This is a book that kept me turning pages quickly to see how it ended. If you enjoy a good political thriller, this is a must read! Julian Mellow has spent his life amassing a fortune out of low-risk / high-reward investments. But the one time in his life he got in over his head, he left another man holding the bag, and made an enemy for life, one who has nothing to lose. Now, Mellow has an even greater ambition―to select the next President of the United States―and to make that man do his bidding, in business and beyond. It all ties to an African nation where his son died years before, where a brutal dictator still rules supreme, and where a resistance movement lurks in the alleys, waiting for the right time to strike. Margolis spans the globe to weave together a brilliant story of politics at its most venal, where murder is a part of the political process, where anyone’s life is up for sale, and where one man―that bad penny of an enemy―could bring the whole kingdom toppling. As the new President is inaugurated, Seth Margolis has penned a perfect thriller for the voting public, one that asks who really puts the next person in the White House―and at what cost? 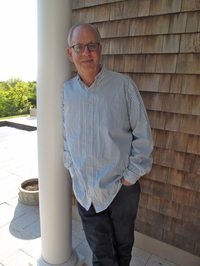 Seth is a writer whose most recent novel, THE SEMPER SONNET, will be published on April 19. He is the author of six earlier novels, including LOSING ISAIAH, which was made into a film starring Halle Berry and Jessica Lange. Seth lives with his wife, Carole, in New York City. They have two grown children, Maggie and Jack. Seth received a BA in English from the University of Rochester and an MBA in marketing from New York University’s Stern School of Business Administration. When not writing fiction, he is a branding consultant for a wide range of companies, primarily in the financial services, technology, and pharmaceutical industries. He has written articles for the New York Times and other publications on travel and entertainment. Susan Roberts lives in North Carolina when she isn't traveling. She and her husband enjoy traveling, gardening and spending time with their family and friends. She reads almost anything (and the piles of books in her house prove that) but her favorite genres are Southern fiction, women&#39;s fiction and thrillers. Susan is a top 1% Goodreads Reviewer. You can connect with her on Facebook.